Josiah Haas | Bud Industries, Inc. 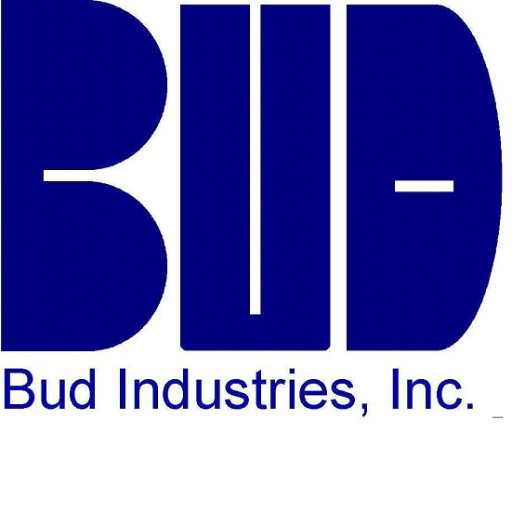 Please tell us a bit about Bud Industries and your roll in the Advanced Manufacturing Industry? Headquartered just outside of Cleveland, Ohio in Willoughby, Bud Industries, Inc. (www.budind.com) has been the nation's leading electronic enclosure manufacturer for the electronics and data industries for over 85 years. Founded in 1928 as a producer of radio antennas, our company has grown to be a major manufacturer of electronic enclosure solutions for the industry. Today, Bud's standard product line is comprised of more than 2,500 products. Our extensive line of affordable products ranges from small boxes to large cabinet racks. Our offering is available in aluminum, steel, stainless steel, fiberglass, and plastic (ABS and Polycarbonate.) We have a full line of NEMA and IP rated enclosures and have a focus on customization to make sure the customer receives the enclosures as they need it the first time. As a company we are continually looking for ways to improve our processes and increase throughput to lessen the lead times to our customer. Over the past 6-7 years have we have added a great deal of equipment to our facility that have improved our capabilities. Upgrading our laser capabilities and adding additional automated milling equipment to focus on quick turn modifications have been harbingers of our success. Who are your customers and how do they communicate their enclosure needs to you? We have an international customer base but the focus is North America. We sell heavily through our authorized distribution channel with customers in just about every vertical market. Anyone creating a product or handling maintenance and repair on their item could be a potential customer. While the components continue to change for our customer’s end products, they still need to be enclosed or housed to protect them from the elements or from tampering. Our sales and engineering teams are heavily involved at the engineering level to work with the customer to design or utilize an enclosure that fits their requirements. We understand customer’s expertise is on the components and their specific field. Many companies have cut back engineering staffs leaving Electrical or Electronic Engineers to handle mechanical designs. Our goal is to make the process as easy as possible for the customer and make them aware that our engineering services are available to help them better their product. We have received drawings as simple as a sketch on a napkin or worked with more technical customers through swapping STEP files. Can you talk about some of the more unusual requests you have fulfilled for your customers? With a focus on NEMA and IP rated watertight product where people are using our enclosures continues to be fascinating. I love hearing about our customer’s product in use. For example, some go on roofs in Northern Canada tracking weather trends, some go in chicken coops to track egg production, and we have sold some into NFL stadiums to improve wireless connectivity. (We all need to check our fantasy teams or tweet out an update while taking in NFL action.) Our enclosures protect electronic and electrical components in many different markets. When we customize them to fit the specific requests it streamlines their supply chain. What are some of your newest product introductions? We continue to look for ways to improve our standard product offering. Over the past few years we have made a push into the IP67 and IP68 markets for temporary water submersion. Bud’s PIP, PTS, PTQ (http://www.budind.com/view/NEMA+Boxes/NEMA+4+X+-+PTQ+Series), and our updated AN-A series enclosures all fit this segment. Is the market for electric enclosures stable or is there continuous need for new products and services? We have seen growth as a company the past few years but understand certain markets have struggled. As a company, Bud Industries has been helped out by having a diverse customer base and not being too heavily invested in any of them. As Oil and Gas or military have struggled, we have made a push into industrial controls or wireless. In terms of new services the key piece is finding ways to differentiate yourselves from competition and improving your time to market on standard and custom products. To partner with distribution, there is a need to develop new products which we try and do. We talk about Industry 4.0 and Advanced Manufacturing. How do you see the future of manufacturing unfolding from your perspective? There is no doubt that manufacturing facilities will make a continued push of robotics and automation. The jobs in a factory are not going away they are just adjusting. Operators may be handling more programming or assisting in tooling changes for 10 or 15 pieces of equipment not just one. It will be interesting to see mid-size and small facilities continue to develop by having equipment talk to one another and notify the next that the material is on its way. We will also see an increased reliance on the systems (software and equipment) to make simple decisions on their own creating an autonomous environment. Manufacturing Office and factory employees will have to adapt to learn new skills to assist in the conversion of the plants. Advanced manufacturing will also be a push for reshoring as the costs to produce products are stabilized or lowered.